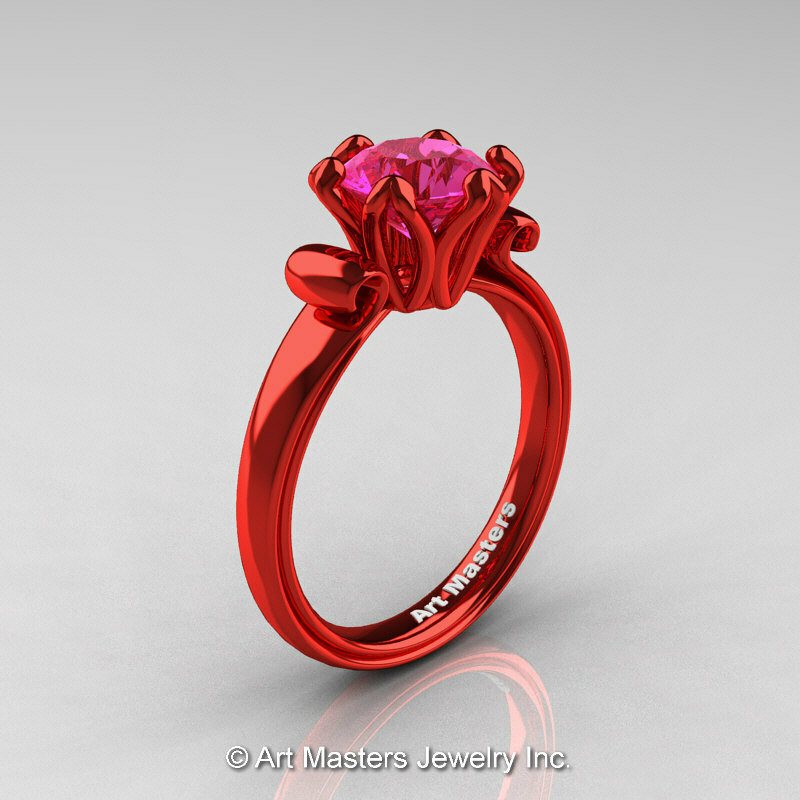 Harmonic in style and dramatically beautiful, the new Modern Antique 14K Coral Red Gold 1.5 Carat Pink Sapphire Solitaire Engagement Ring AR127-14KREGPS by Art Masters Jewelry is a work of classic jewelry art evokes unconventional luxury and extraordinary elegance. This art jewelry color style was first introduced to bridal jewelry trend by Art Masters Jewelry Inc. 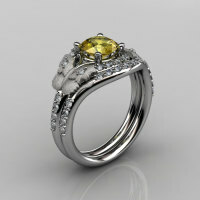 This ring is a designer exclusive art jewelry show piece and is not mean for continuous daily wear. Red gold (red ceramic rhodium coated on 14k solid white gold) will partially wear off after frequent wear making your ring look exquisite vintage by exposing solid white gold base on the edges and flat surfaces. 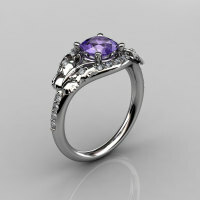 Red rhodium reapplication is not necessary, however if desired, I provide two year (one time) free Red rhodium reapplication on all designer red gold rings for my customers. This service is available with select jewelry manufacturers U.S. nationwide. ** Just like any ceramic piece, this ring must not be anciently dropped to the ground or hit by hard objects as the ceramic layer may chip off. Be the first to review “Modern Antique 14K Coral Red Gold 1.5 Carat Pink Sapphire Solitaire Engagement Ring AR127-14KCRGPS” Click here to cancel reply.